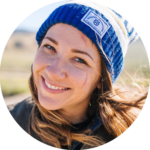 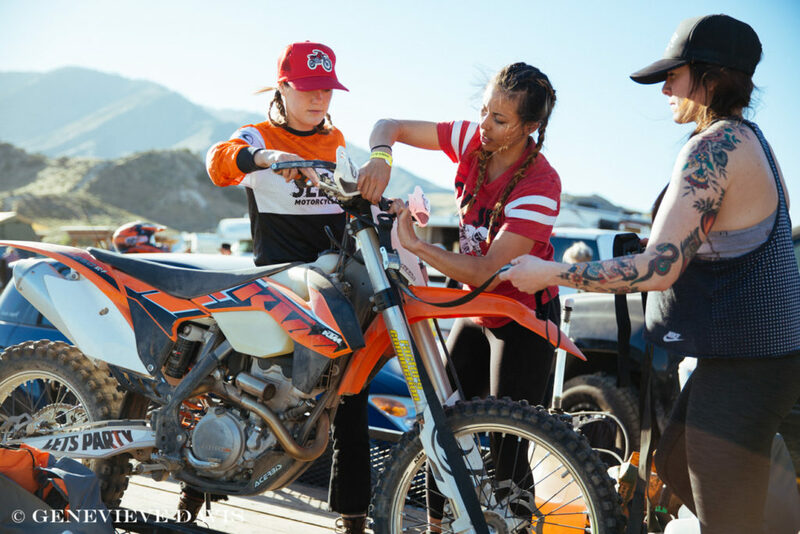 Contributing author Adrienne resides in Northern California working as a motorcycle safety instructor, making jewelry for her brand Pistons & Poppies, and hanging out with the Hot Rides lady moto collective. 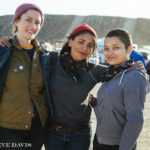 The Babes in the Dirt off road meet up, hosted by the Babes Ride Out crew, slays it’s third year. 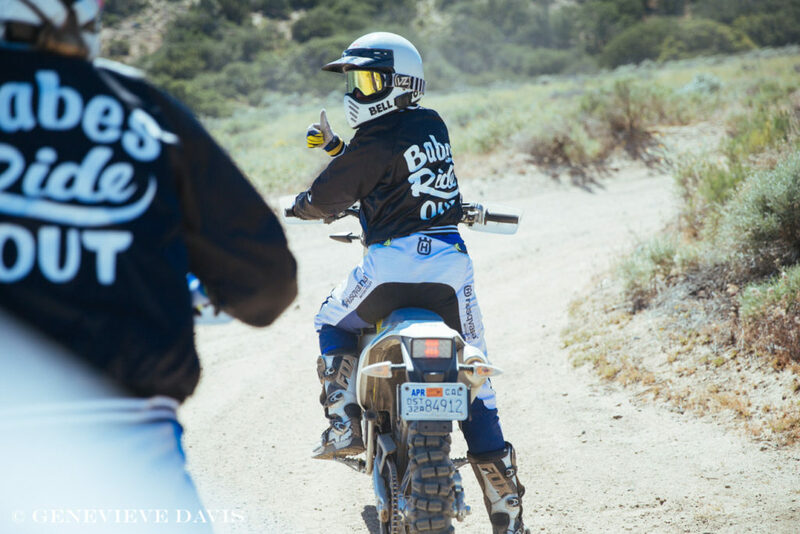 Dirt bikes, no drama, and no dudes. 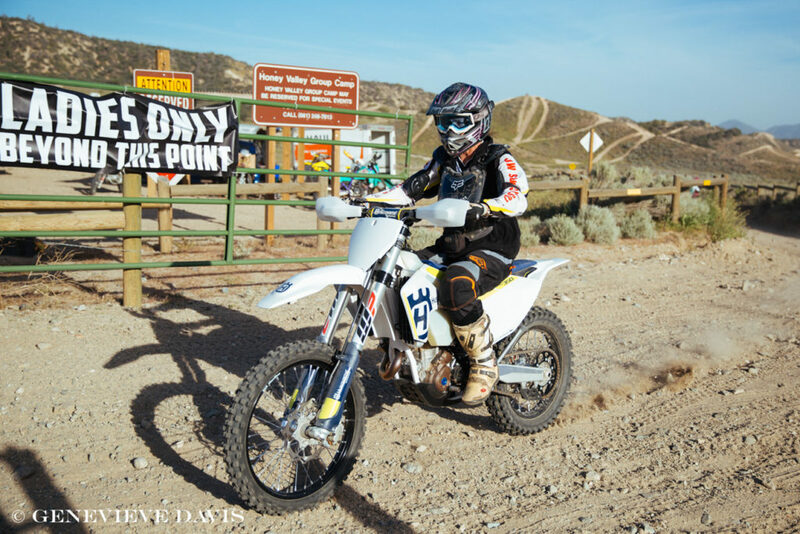 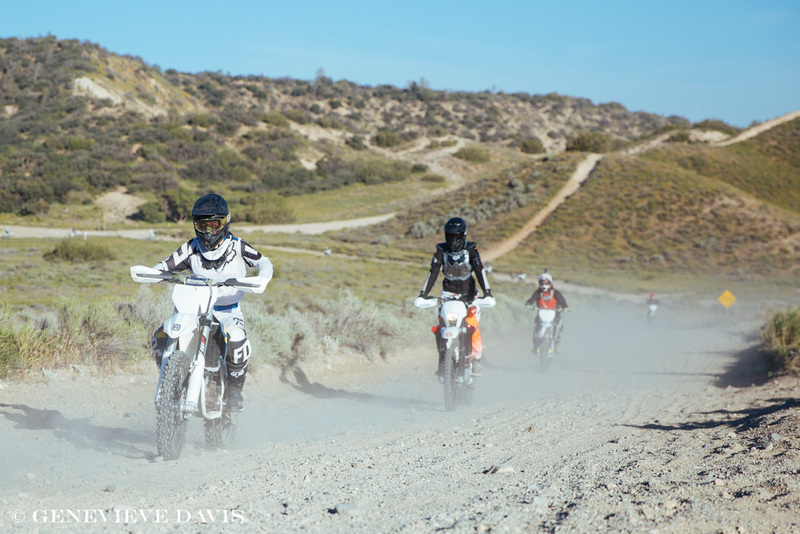 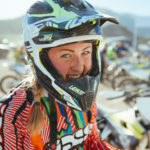 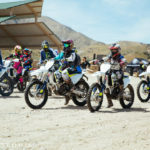 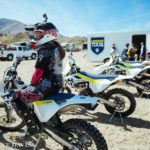 Anya Violet and Ashmore Ellis of Babes Ride Out (BRO) hosted their third annual Babes in the Dirt (BITD) event at Hungry Valley SVRA in the heart of California’s Grapevine. 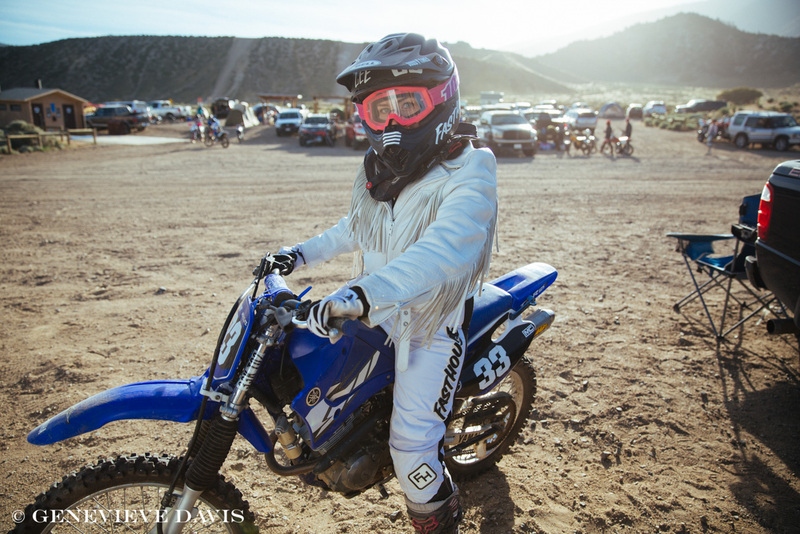 Throw out any preconceived notions, ladies. 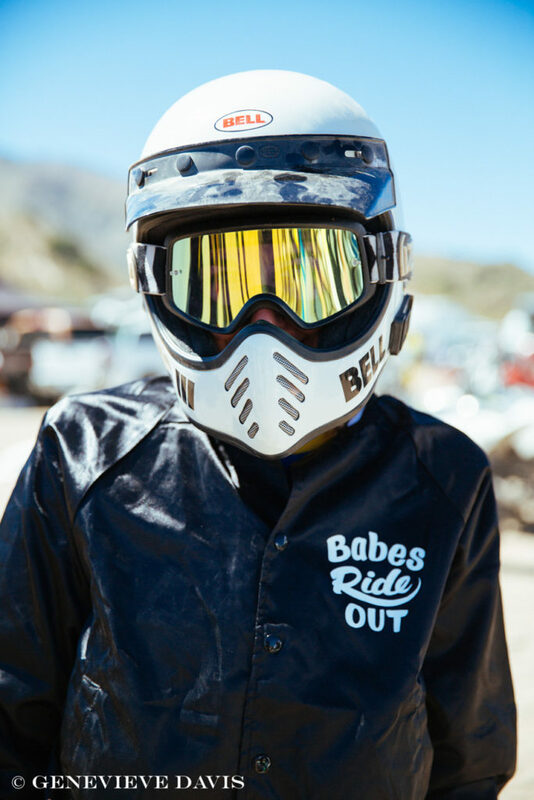 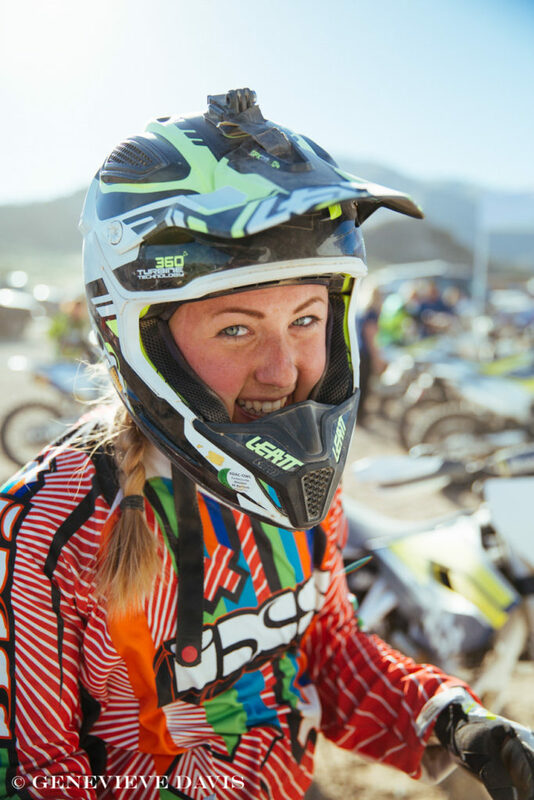 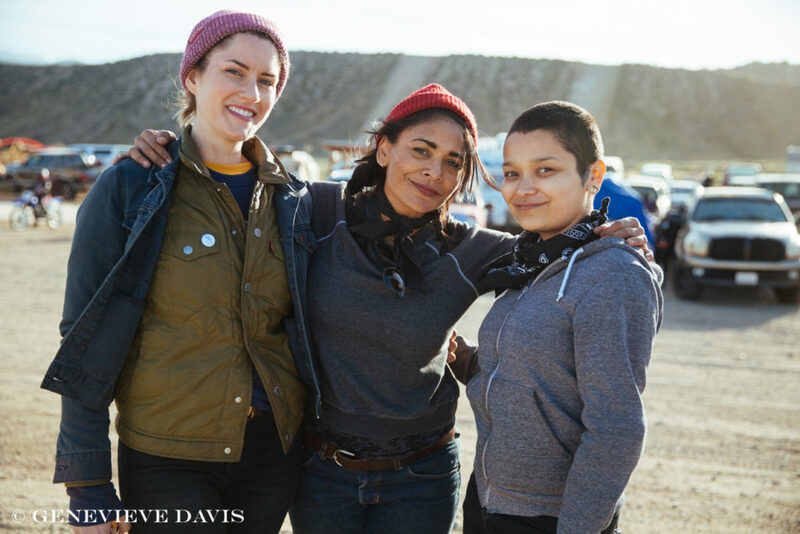 Whether you’re a new rider with a spark of passion for motorcycles or the fire of riding has been brightly burning, Babes in the Dirt is the place to be. 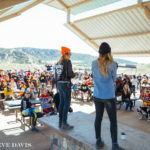 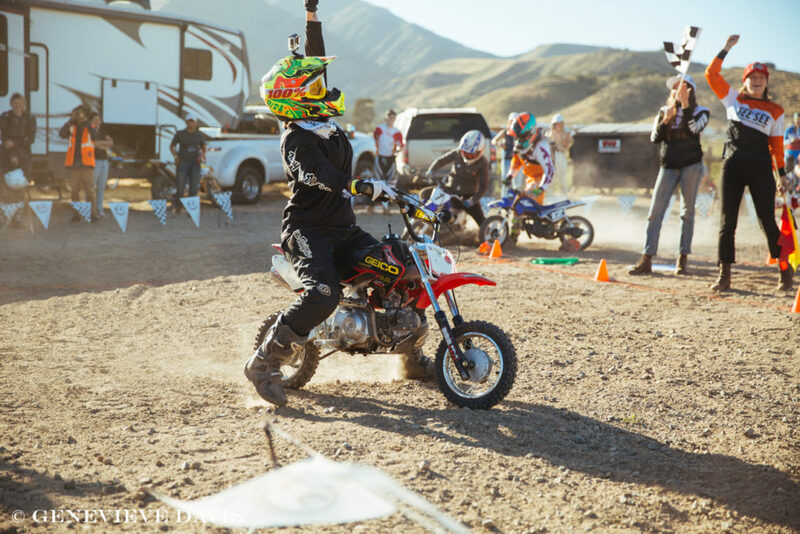 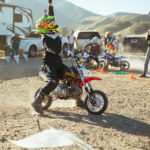 On top of hilarious karaoke hosted by reigning karaoke queens Katie Sue Weissel and Lea Sabado of Hot Rides and mini-bike races hosted by See See Motorcycles, Husqvarna hauls out a fleet of demo bikes that the attendees get to tear up the trails on for free. 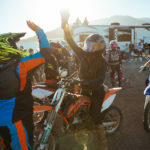 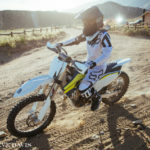 As if that weren’t cool enough, their talented team also takes the time to give instruction to riders who have never ridden dirt or need some guidance before going off on their own. 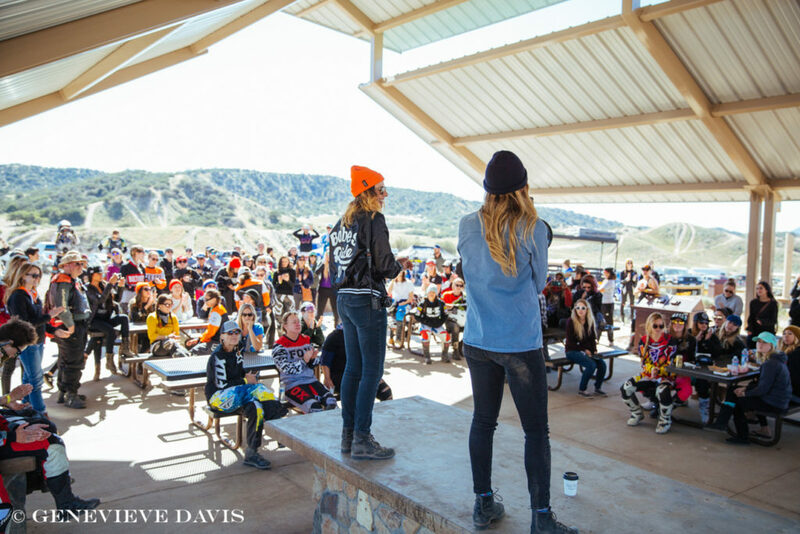 Building those bonds—that sisterhood that Lindsay mentioned is one of the most meaningful aspects of what Babes Ride Out events mean to me. 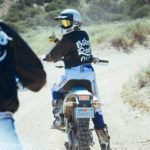 The relationships forged in the three years of BITD/BRO events I have been to have grown roots much deeper than just spending a weekend getting dirty. 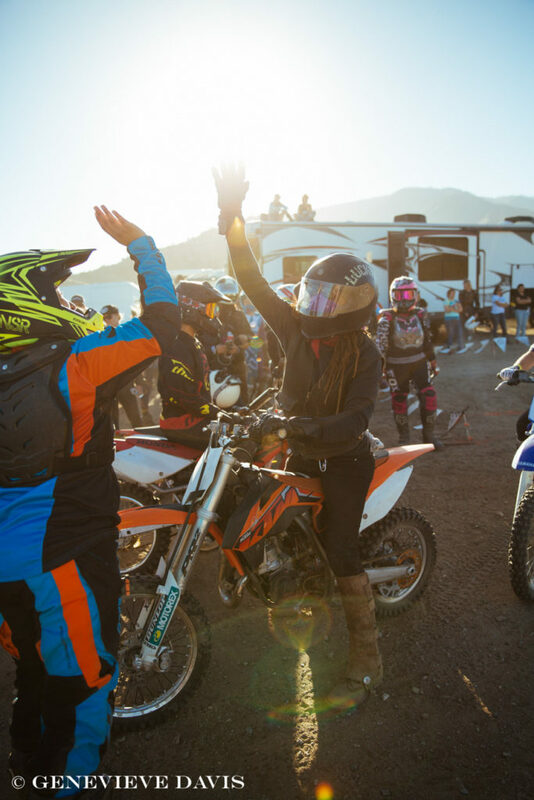 Some of the women I’ve met for the first time there have become some of my closest friends and being a part of the Babes Ride Out family gave me profound confidence to get involved with other moto-related events. 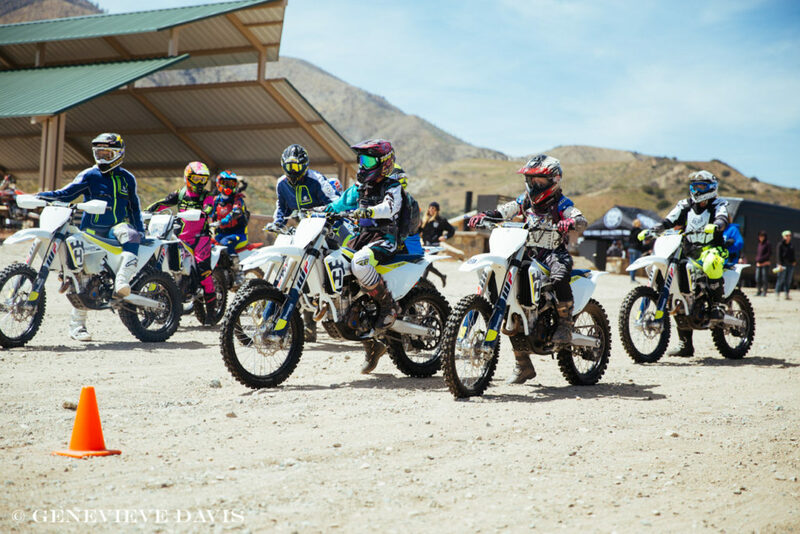 Hesitant about coming out to Babes in the Dirt? 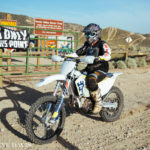 Give it a shot, I’m glad I did. 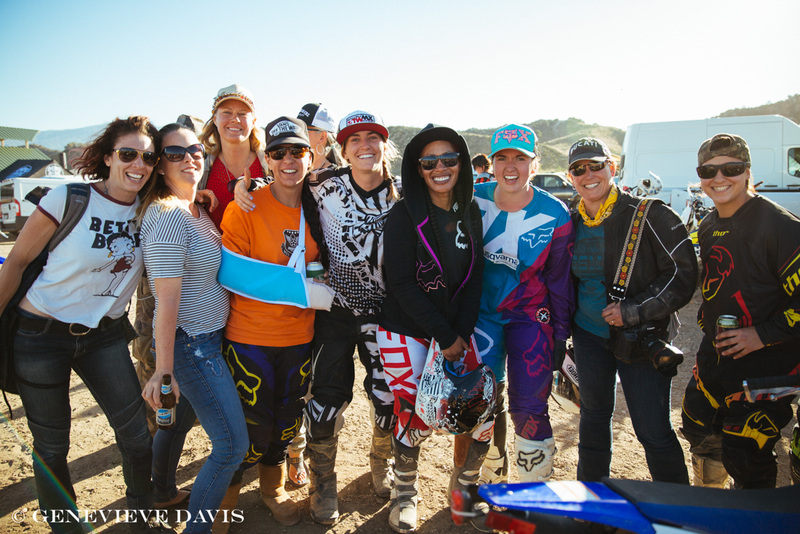 I can’t imagine my life without my Babes. 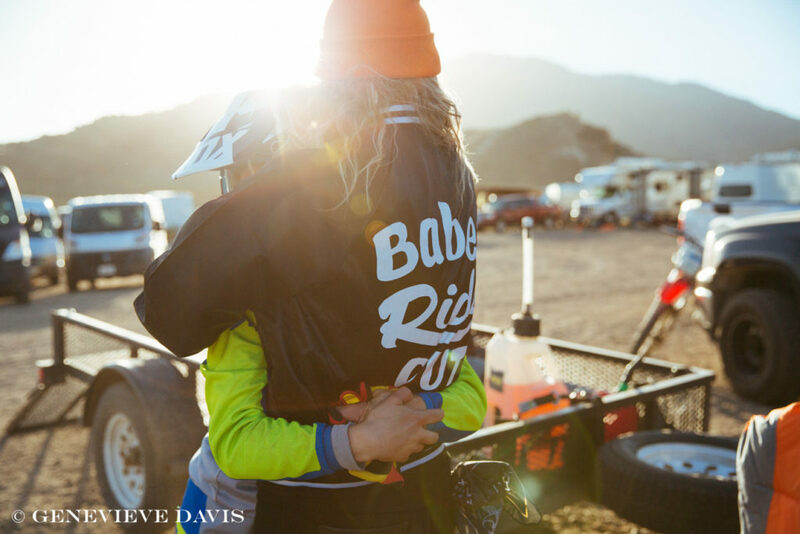 Check out upcoming events and their dates on the Babes Ride Out website! 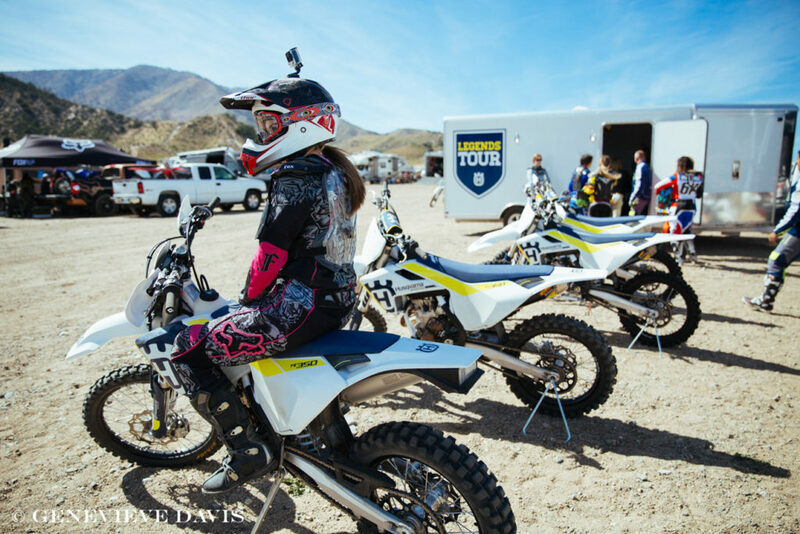 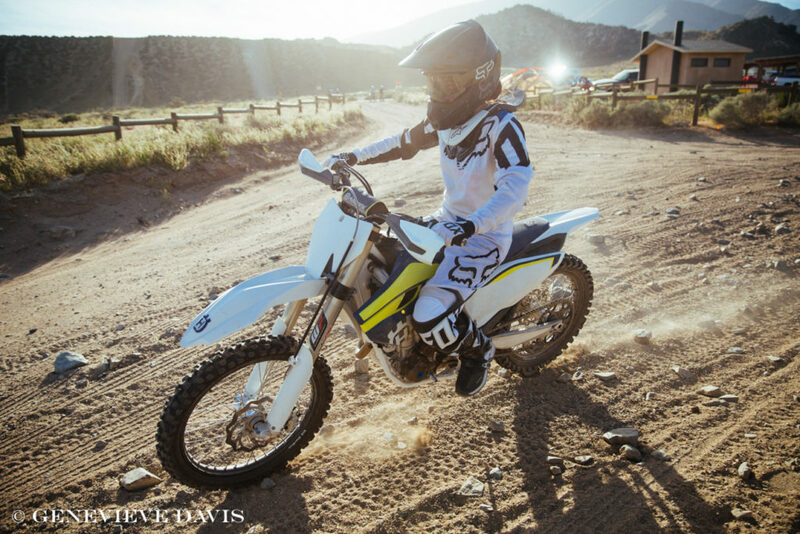 Photos copyright Genevieve Davis, courtesy of Husqvarna Motorcycles, 2017.